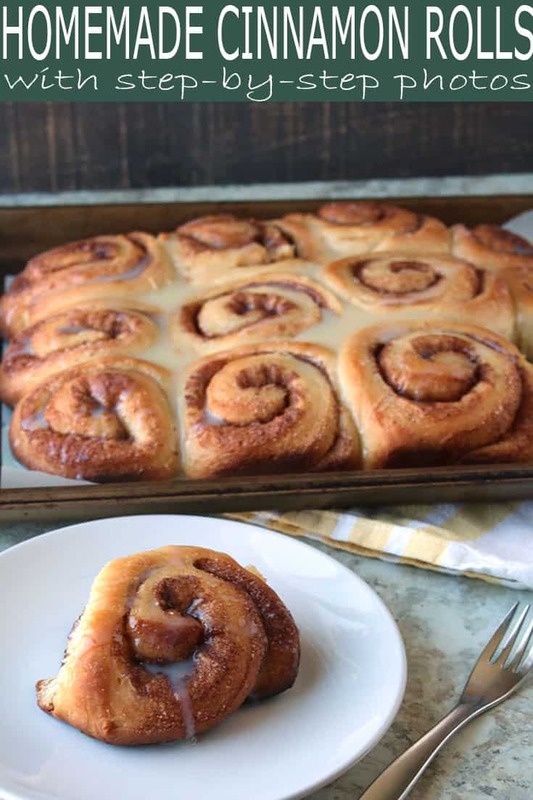 These are the BEST homemade cinnamon rolls! They’re so good, in fact, that I’ve named this recipe The Best Homemade Cinnamon Rolls. 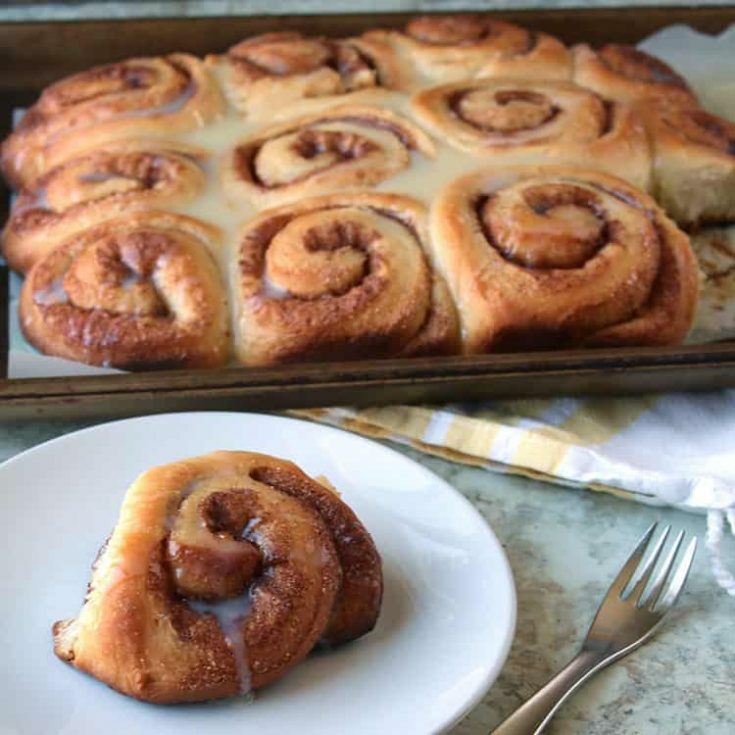 This recipe is passed down from my grandmother who really did make the best cinnamon rolls. Try this recipe and see for yourself! 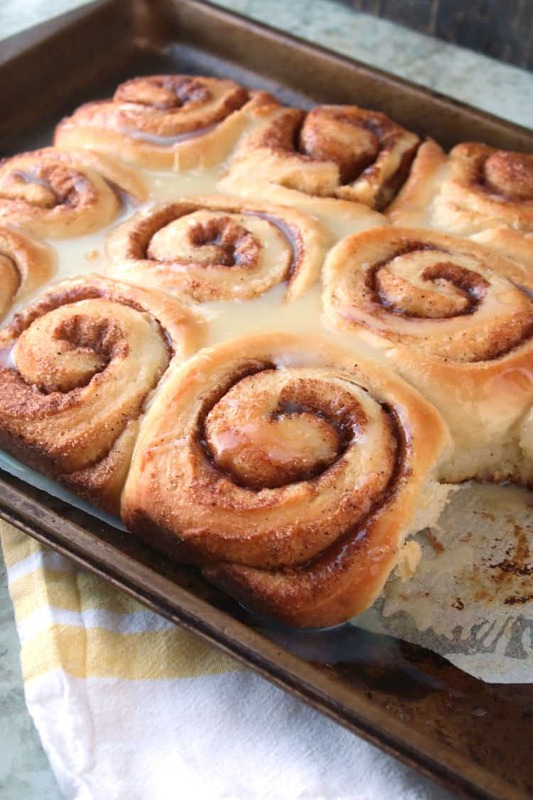 Naturally, the Best Homemade Cinnamon Rolls start with The Best Homemade Yeast Rolls recipe! Luckily for you, you can find and print the full recipe for The Best Homemade Yeast Rolls, including step-by-step pictorial instructions on how to make the yeast dough. 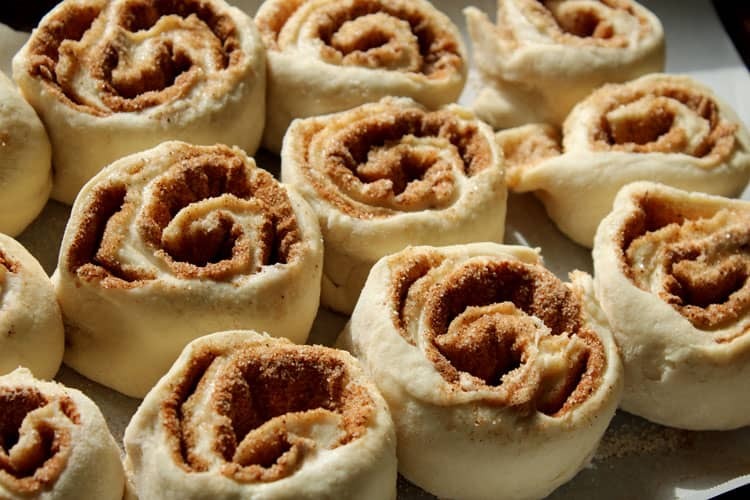 My grandmother used to make these homemade cinnamon rolls for us every time she made a batch of her yeast rolls. I remember she would bring them to our house in one of her foil pie pans and tell us to put them in the refrigerator then bake them for breakfast the next morning. I don’t think we ever waited until the next morning! This is a pretty sweet dough, which is one of the reasons it’s so good. Instead of adding more sugar, I used Splenda in the Cinnamon rolls, just to cut the sweet back a bit (but you can use sugar if you really want to). 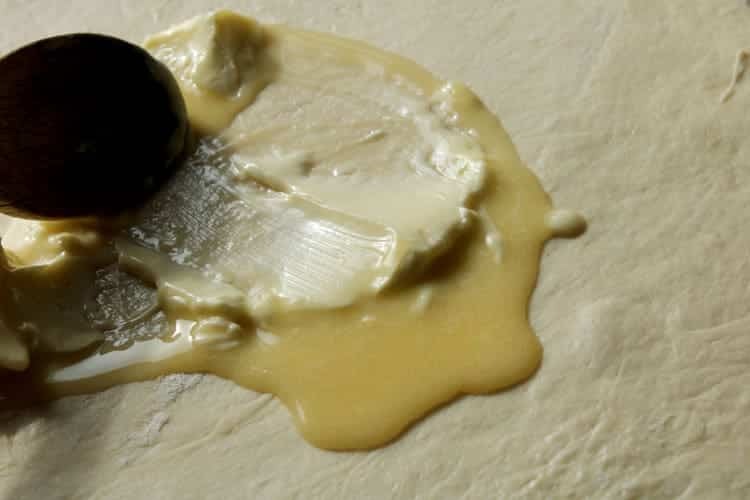 Step #1: After the dough is chilled, you’ll roll it out on a floured surface (to about 1/4″ to 1/2″ thickness). Step #2: Next you will generously spread the softened butter all over the whole piece of dough. Sprinkle with the cinnamon and then finish with sugar, Splenda, or other sweetener of your choice. 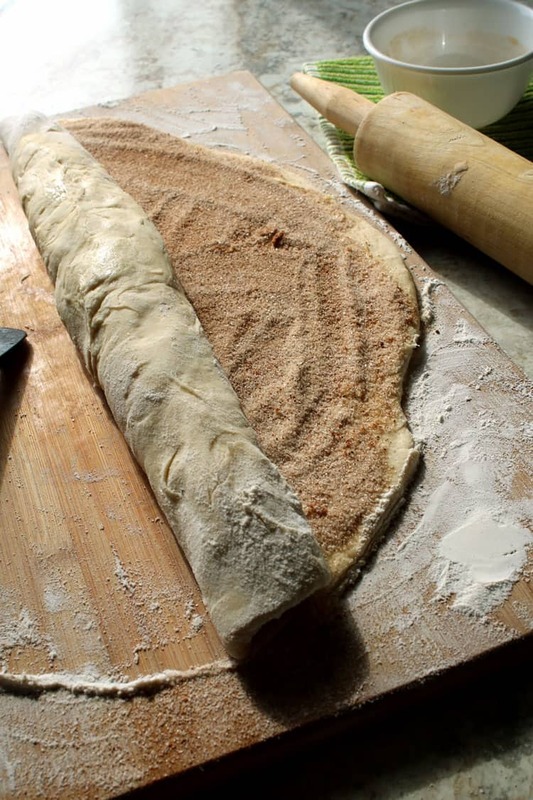 Step #3: Roll the dough lengthwise into a roll. Your homemade cinnamon rolls are starting to take shape! Then using a really sharp knife or dough cutter, cut it into 1.5 to 2 inch rounds. This will make large fluffy cinnamon rolls. Step #4: Place your uncooked homemade cinnamon rolls into a lightly buttered or greased pan, and let them rise for two hours. Note that you will do this process twice because you’ll start with two balls of dough. Step #5: Brush melted butter over the top if desired and then bake (375 degrees for about 30 minutes or until they are golden brown, checking them after 15 minutes)! They are so yummy right out of the oven, but they taste great reheated too. They can be served with or without frosting. I just used some powdered sugar creamed with more butter, then thinned with some milk and a dash of vanilla and gave it a very light drizzle. I also found this recipe for Best Cinnamon Roll Icing at Creme de la Crumb and it includes a little cream cheese – Yum! I hope you enjoy this homemade cinnamon rolls recipe straight from my grandmother’s kitchen! 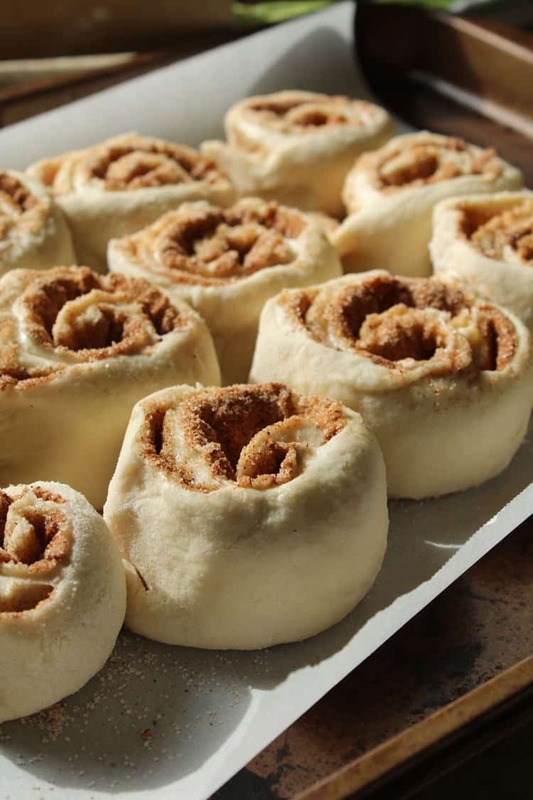 These are the BEST homemade cinnamon rolls. Try them for yourself and see! Remove the yeast dough from the refrigerator and divide it into two balls. 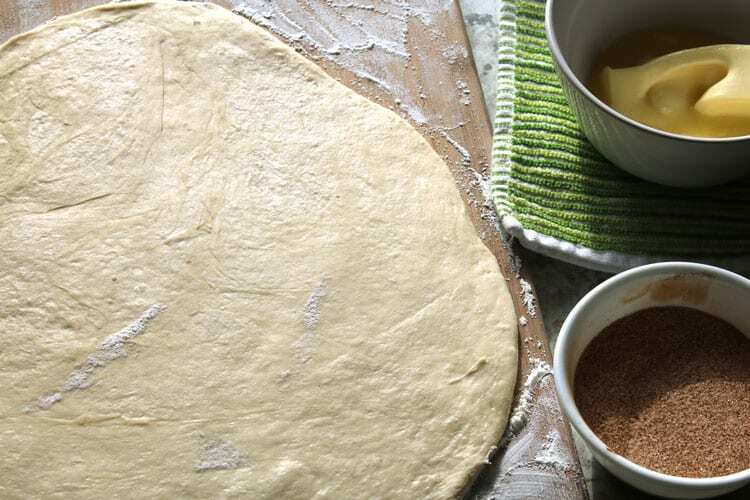 Roll the first ball of dough out on a floured surface to about 1/4 to 1/2 inch thickness. Make sure it's not too thin or you won't be able to roll it without tearing. Spread 3 tablespoons of the softened butter over the dough. Sprinkle with 2 1/2 tablespoons cinnamon then 4-5 tablespoons sugar. 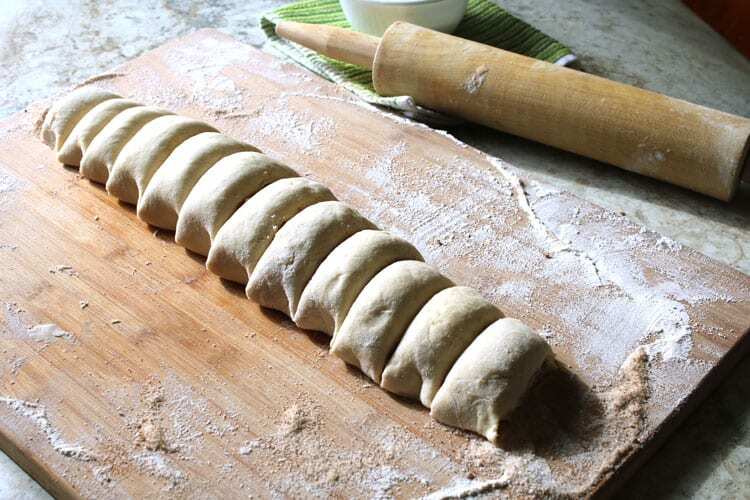 Starting at one end of the dough, start rolling tightly until you get a cylinder-shaped roll. Using a very sharp knife, slice the rolls about 1-2 inches thick. Place them in a greased baking pan and set aside. Cover with cloth and let rise in warm place for about two hours or until double in size. Do the same for the second half of the dough. Bake at 375 degrees in a preheated oven for about 30 minutes or until they are golden brown, checking them after 15 minutes to make sure they are not cooking too fast. Depending on your oven they may need to bake for a shorter or longer period of time. When you take them out of the oven, spread them with your choice of frosting or simply add butter and enjoy! Nutrition facts are calculated without icing. “Prep time” (and “total time”) includes cinnamon rolls rise time.